OnSho Shoes is a Shoe Company to watch for. It's rise to the top is inevitable with its Blue Shoe Soles Branding, Styles that will please any shoe connaisseur and affordability to fit most budgets. Houston, TX: Onsho Shoes, a leading provider of Italian shoes for men and women, has added even more styles and brands to its inventory of fine leather footwear. By adding more Italian leather shoes, the company hopes to continue to gain market share, and bring in more customers. The Houston-based retailer has made a name for itself by offering Italian shoes for low prices online, for both men and women. In addition to carrying Italian shoes womens from top designer brands worldwide, Onsho Shoes also has a private label shoe company, which offers similar build quality for a much lower price than competitors. Beyond this, the company has also made it their goal to add even more Italian shoes from top designers and brands from all around the world. Beyond simply adding more products, Onsho Shoes is also making comprehensive pictures and product information one of its top priorities. With multiple photos for each shoe, and resources like sizing charts and material information available, every customer will have the information that they need to browse the thousands of mens and womens Italian leather shoes online. This empowers customers to make the right purchasing decision, and find a pair of shoes that will look and feel great. This new expansion of inventory is sure to result in more success for this footwear brand, particularly when paired with their dedication to customer service, and fast, direct shipping model. Those who are interested in shopping at OnSho Shoes can take a look at their new inventory directly on their website (link below). Information about new products and updates can also be found on Facebook and on Twitter at @onshoshoes. The company also offers regular updates at @onshoshoes on Twitter and Facebook. For further press inquiries, calls may be directed to 1-844-44ONSHO. 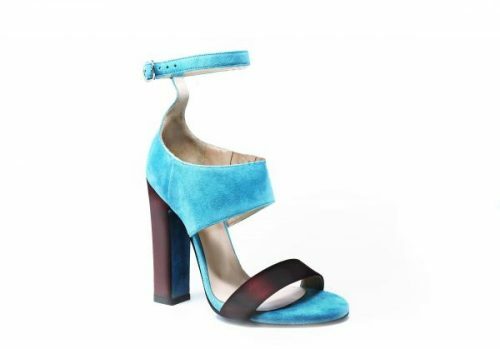 About Onsho Shoes: Onsho Shoes is a Houston-based retailer of Italian footwear, engaging in online, discounted retail sales of name-brand and private-label shoes. The company is focused on providing shoppers with a wide selection of top shoes from Italy and around the world, for a low price. In addition, the company shares a percentage of its profits with a number of local charitable organizations focusing on homelessness, veterans, and survivors of sexual assault, to give back to the local community.